Copenhagen Airport is connected to 127 destinations worldwide. 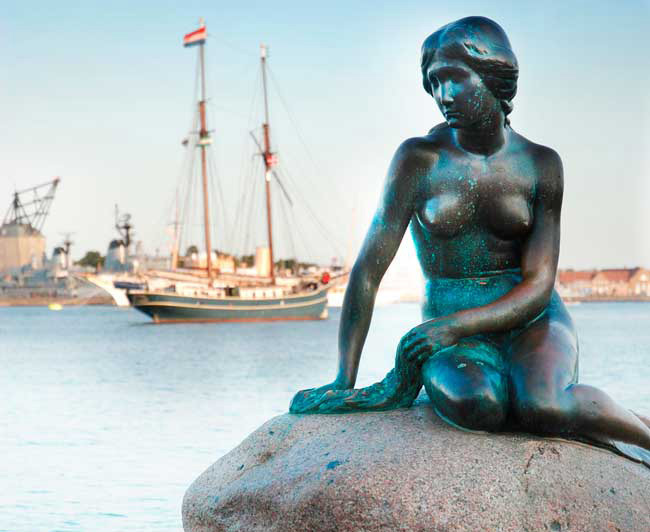 The Little Mermaid Statue is one of the main attractions of Copenhagen. 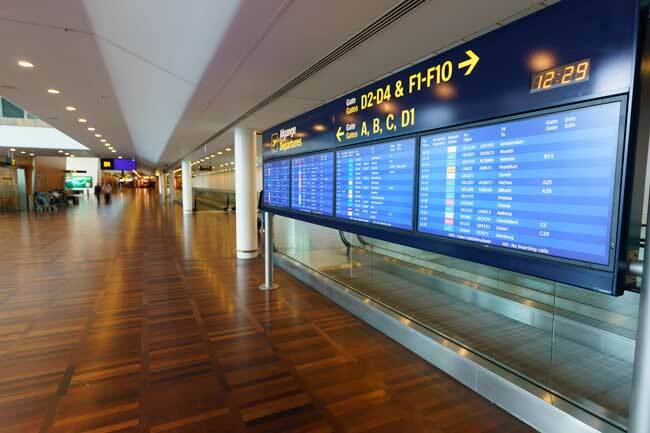 Copenhagen Airport (IATA: CPH, ICAO: EKCH) also known as Copenhagen Airport Kastrup, is the main international airport serving the city of Copenhagen, as well as the whole regions of Zealand and Oresund, and a large part of the south of Sweden. 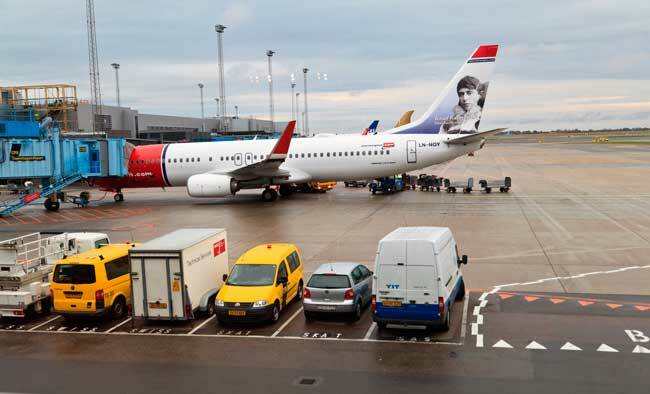 Copenhagen Airport has all the world’s major airlines represented and the main hub of major companies such as Scandinavian Airlines, Thomas Cook Airlines Scandinavia and Norwegian Air Shuttle. Copenhagen Airport is home of 2 integrated Terminals: Terminal 2 and Terminal 3. Terminal 2 is home of both domestic and international services. Please note that the check-in for the low cost carriers and charter flights is located in this terminal. Terminal 3 processes both international and domestic departures of many airlines, and hosts CPH Go low cost carriers such as Transavia, EasyJet and Ryanair. Terminal 2 and Terminal 3 are linked airside. It won’t take you more than 20 minutes to transfer from each other by foot. - Train: By any of the regional rail lines that stops at the Airport Railway Station. - Metro: By M2 line to Nørreport Station. - Bus: There are several public transport bus lines. Gråhundbus: From Copenhagen Airport to Malmö (Sweden). Jutland Bus Express: From Copenhagen Airport to Aarhus and Aalborg. 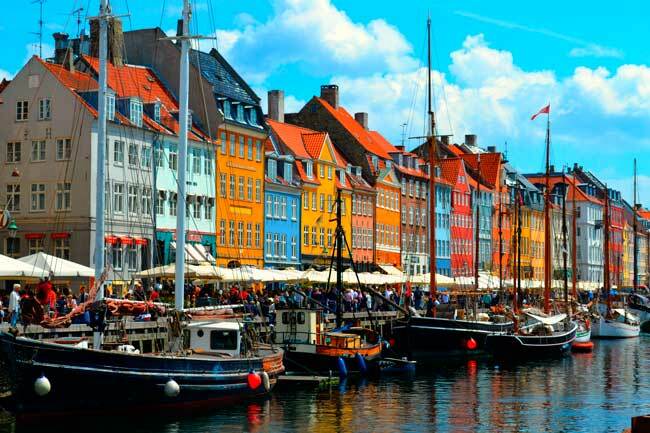 Copenhagen is the most populous city in Denmark and also the countries’ capital city. It has a total population of 1,280,371 inhabitants. It is located in the eastern coast of Zealand island, and another piece of the city is separately located on Amager. The city is naturally separated from Malmö (Sweden) by the strait of Oresund – The Oresund bridge connects both cities by road and rail. Since the Oresund Bridge was completed, the Swedish province of Scania, with its main city Malmö, became even more integrated to Copenhagen, forming the Oresund Region. Some of the most popular attractions of Copenhagen are The Little Mermaid statue, Tivoli Gardens, the Amalienborg and Christiansborg palaces, Frederik’s Church and Rosenborg Castel Gardens, as well as many museums, restaurants and night clubs.